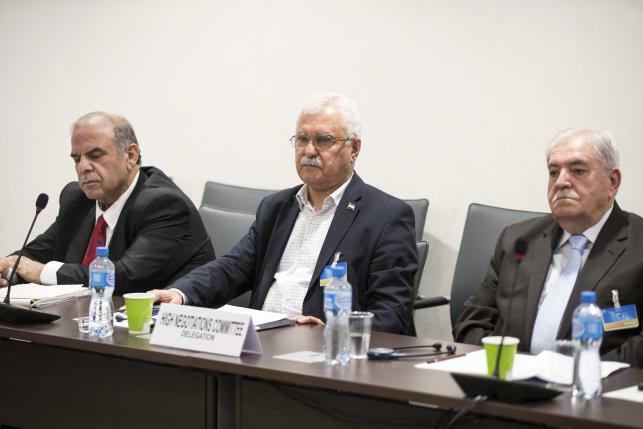 Syrian peace talks came close to collapse yesterday (18 April), with the mainstream opposition announcing a pause in talks at the United Nations headquarters in Geneva, although it agreed to keep its negotiating team in the city. The Western-backed opposition High Negotiations Committee (HNC) said in a letter to rebel fighters that government military advances meant a ceasefire was effectively over and it was calling a postponement in the talks. Rebels, who accuse the government of breaking the ceasefire to try to recapture the northern city of Aleppo, announced an offensive of their own, launching an assault against government forces in Latakia province on the Mediterranean coast. Opposition fighters made separate advances further east in Hama, while heavy government air strikes took place in Homs province to the south. There was “no way” the opposition could resume formal talks amid a military escalation and a worsening humanitarian situation, senior opposition negotiator Mohammad Alloush told Reuters. “We want real negotiations, not farcical ones,” he said, adding that the opposition had not decided whether it would continue to meet UN envoy Staffan de Mistura. “When there are 70 airstrikes, and when there is mobilizing of troops, when Iran sends further armed men and Russia sends a large group of rockets and unmanned planes, all this tells us that there is no real will for a political solution that ensures the safety and stability in the country,” he said, naming countries that back Assad. Nevertheless, de Mistura played down the decision by the opposition delegation to stay away from his headquarters, saying his team would continue to meet the delegates elsewhere as long as they were still in town. He acknowledged that violence had become “worrisome”, particularly around Aleppo, and said he would call on Moscow and Washington to meet urgently if the situation did not improve. The United States also urged Russia to use its influence to make the government stop its attacks immediately. These threatened not only the partial ceasefire but also the talks in Geneva, a US State Department official said. Russia and the United States agreed at talks in Moscow yesterday (24 March) to use their influence over the sides in the Syria conflict to speed up progress towards a political solution. 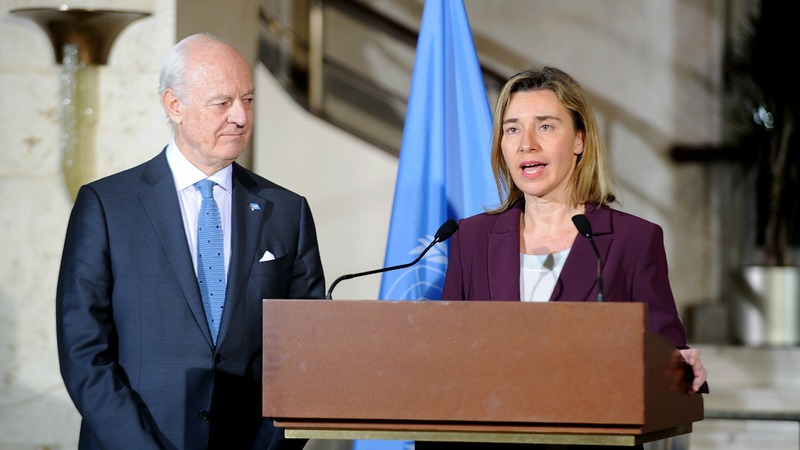 The EU’s foreign policy chief Federica Mogherini met with Syria’s regime and opposition yesterday (23 March) to underscore the urgency of a political solution in the country, especially in the wake of the Brussels attacks. Last month, de Mistura convened the first peace talks attended by the warring parties since the conflict began five years ago. He has come further than any envoy so far in getting President Bashar al-Assad’s government and its opponents to negotiate, with the United States and Russia sponsoring a partial ceasefire since 27 February to allow the talks to take place. The United States and Russia announced plans for a “cessation of hostilities” in Syria that would take effect on Saturday (27 February) but exclude groups such as Islamic State and the al-Nusra Front, a loophole Syrian rebels immediately highlighted as a problem. So far, all sides have committed to some kind of political transition that would follow the war. But they still differ fundamentally on what that means, including whether it would require Assad to leave power. Assad’s opponents say they cannot participate in talks as long as fighting goes on. But they are also under strong pressure not to quit altogether. “If they walk away, they will be held responsible and it will be difficult to return soon,” a Western diplomat said. De Mistura said the opposition delegation had told him it would “postpone” its “formal participation” in negotiations at the UN’s headquarters, known as the Palais. “It is one way for them to display their displeasure and concern for what they perceive to be a substantial deterioration of the humanitarian situation and a deterioration of the security environment, particularly in Aleppo,” he said. His team would continue to meet all sides “in the Palais or anywhere else”, he added, describing the format of proximity talks, in which the sides negotiate in separate rooms, as “very flexible”. Both sides were “not yielding a comma” on their political demands, he acknowledged, but said that was normal in a negotiation. He would take stock of progress on Friday. Russia has been backing Syrian government operations around Aleppo under the pretext that it is only targeting Islamic State and the Nusra Front, the Syrian branch of al Qaeda, said a US intelligence official speaking on condition of anonymity. 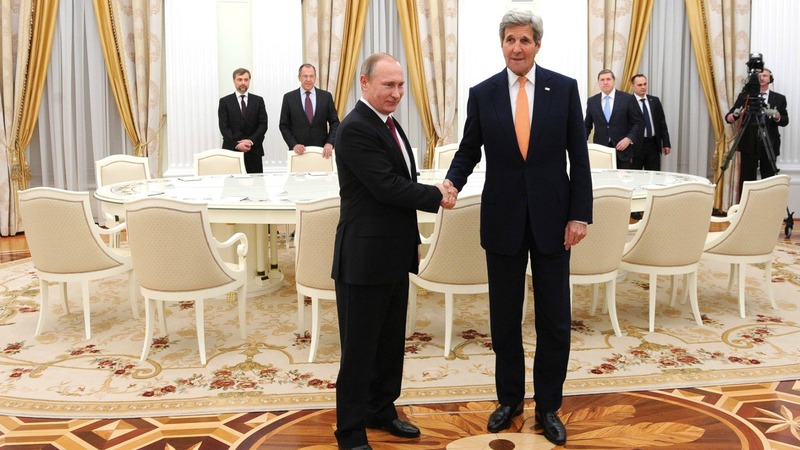 The official cited “credible reports” that Russia has been employing air strikes and long-range artillery. “Despite holding back initially, Russian forces now seem to be directly engaging to support Assad’s violations,” said the US intelligence official. The opposition considers government attempts to recapture Aleppo as a violation of the ceasefire. The government says it is trying to capture areas held by Islamist militants who are not covered by the truce. The opposition’s coordinator at the Geneva talks, Riad Hijab, also said it was unacceptable for talks to go on if the government and its allies pushed on with sieges and bombing civilian areas. Only three delegates met de Mistura for talks on Monday, instead of the usual 15. One senior Western diplomat said de Mistura needed to reassure the opposition by criticizing the government for violating the truce. The Latakia and Hama assaults appeared to be part of a new battle announced by rebel groups early in the day, the Syrian Observatory for Human Rights monitoring group said. A Syrian military source confirmed intense fighting in the area. “Today they attacked in the northern Latakia countryside in several areas, in violation of the cessation of hostilities agreement, and also in the northwestern Hama countryside,” the military source said. The Observatory reported that in northern Homs province heavy government air strikes killed four people, and said the death toll was expected to rise, with more people wounded. Mohamad al-Shamsi, a doctor in the Homs area, told Reuters there had been at least 10 air raids from early morning on Rastan and nearby Deir Foul and al-Houla. Schools had been evacuated and hospitals shut. Groups including factions fighting under the banner of the Free Syrian Army and powerful Islamist group Ahrar al-Sham said in their battle announcement they would respond “with force” against any government forces that fired on civilians. They announced the “formation of a joint operations room to begin the battle … in response to violations by the army”. The Geneva talks aim to end a war that has killed more than 250,000 people, created the world’s worst refugee crisis, allowed for the rise of the Islamic State group and drawn in regional powers. 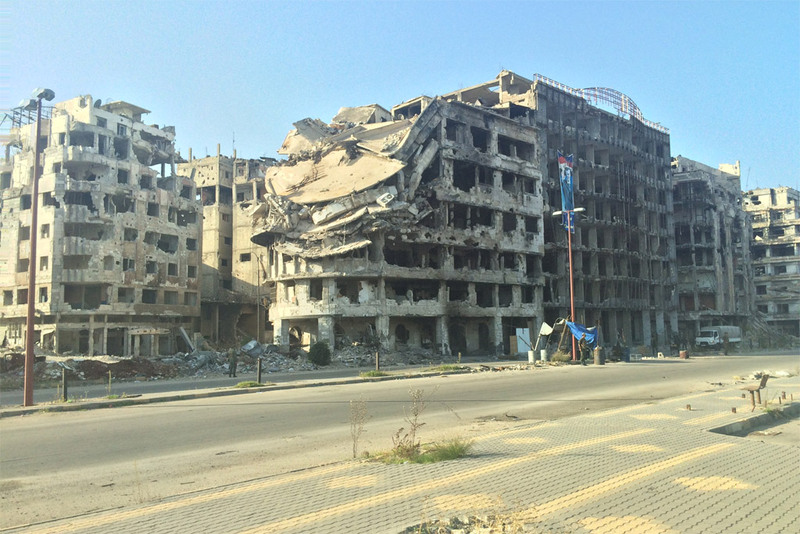 Russia’s intervention in the conflict swayed the war in Assad’s favor. The High Negotiation Committee were so confident they have the talks over a barrel they have exited themselves, “temporarily” for now, saying that no political progress was being made so there was no point for them to be there. Interpretation: “You have not obeyed our demand hat Assad step down first”. No preconditions were a key part of the Geneva agreement that all the parties signed onto.